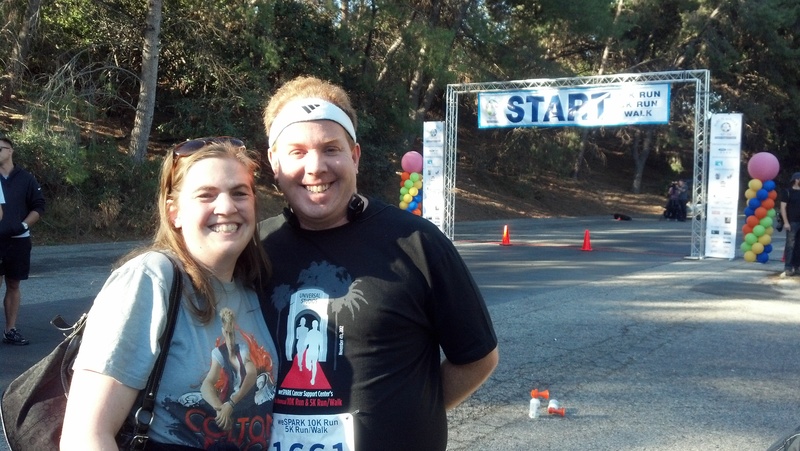 With my wife at the Start line! 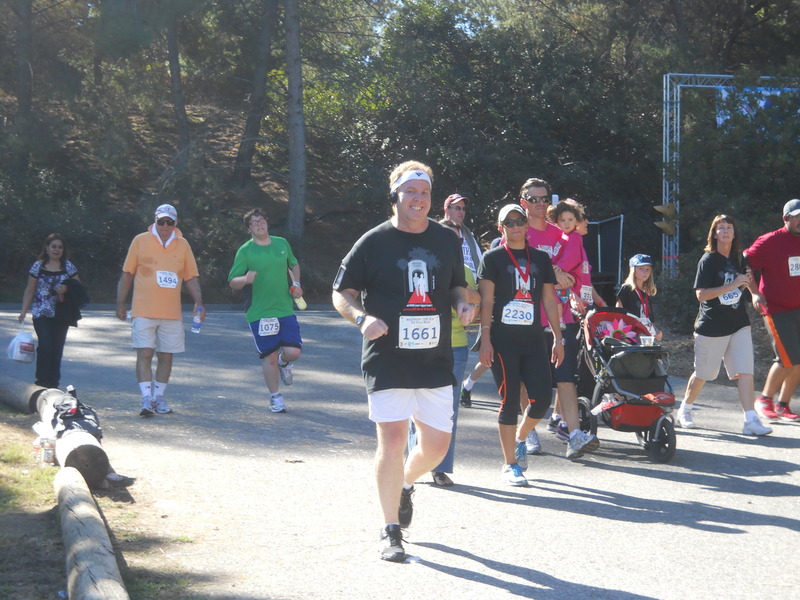 My second 10K took place on November 4, 2012. It was part of the weSpark 10K/5K event. I wish that I could say that I trained hard for this event. However, I didn’t. Although I don’t remember all of the excuses, I just kept finding ways to delay training. Because I didn’t really prepare for this 10K, I almost decided not to participate. However, my wife and I had already bought our “Buy 1 day and get the rest of 2012 and 2013 for free” annual passes for Universal Studios. So, we got up early and headed for Universal Studios. Of all the run events I’ve completed, this one was the closest to home. We arrived at Universal Studios and parked in the Curious George parking lot. One cool perk for this event was that parking was FREE! While it was easy to find where to park, locating the entrance we were to use to get to the start line was not. 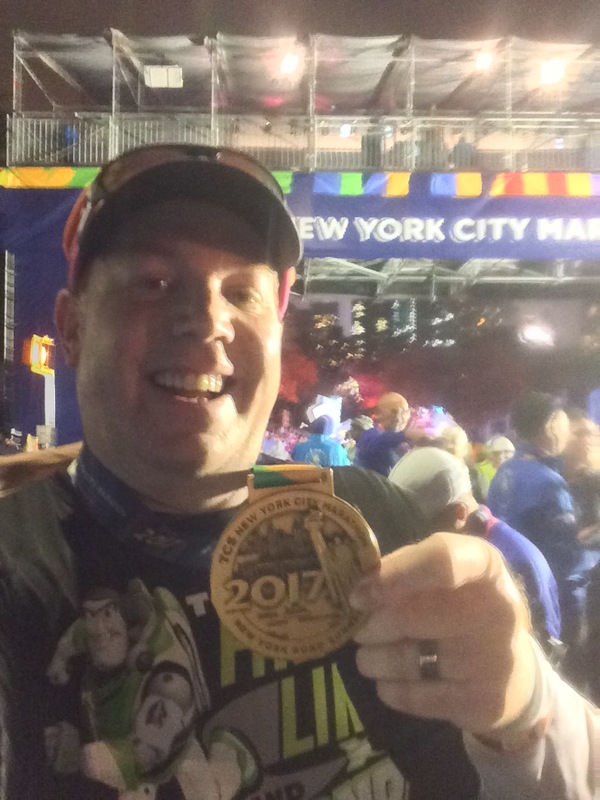 I followed a bunch of fellow runners out of the parking lot and through City Walk towards the entrance of the theme park. However, half way there, a whole herd of runners were walking back and telling us that the entrance for our run was the opposite way. With little to no signage to guide us, we were a little lost. After making our way back to the parking structure, someone eventually found where we were supposed to go and the rest of us followed. 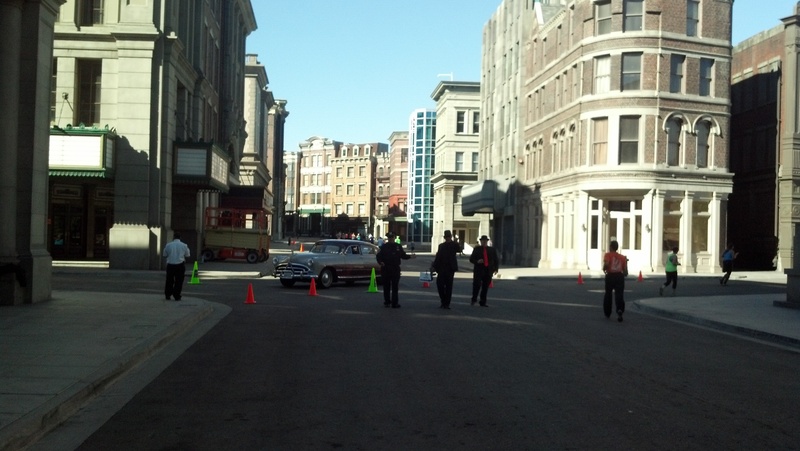 It was a little bit of a trek to get to the place backstage at Universal Studios where the race would begin. One disadvantage to this run was its start time. We received an email a few days prior to the event that the start time had been pushed back to 9:00am. With temps projected to be rather warm, this was not the best situation to be in. As I walked towards the start line, the temperature was already feeling warm. However, it was exciting in a part of the theme park where only the tour tram goes. 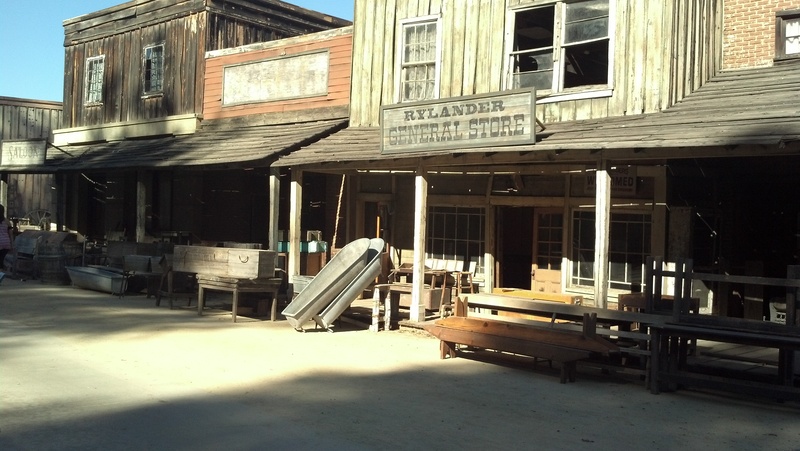 So, to be able to walk around where movies had been filmed was pretty cool. As a matter of fact, you might recognize this house as it was used in Uncle Buck. That’s where we lined up in front of. 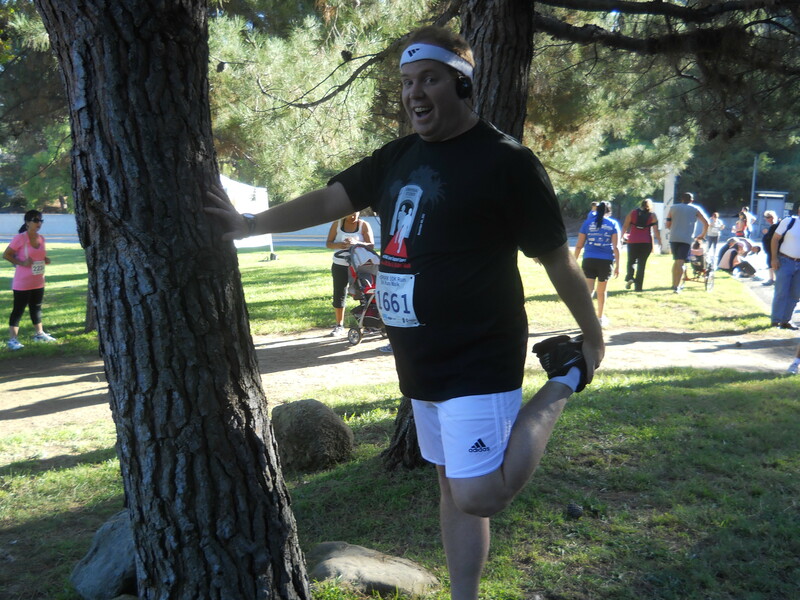 Here are some shots of me getting ready for the run. 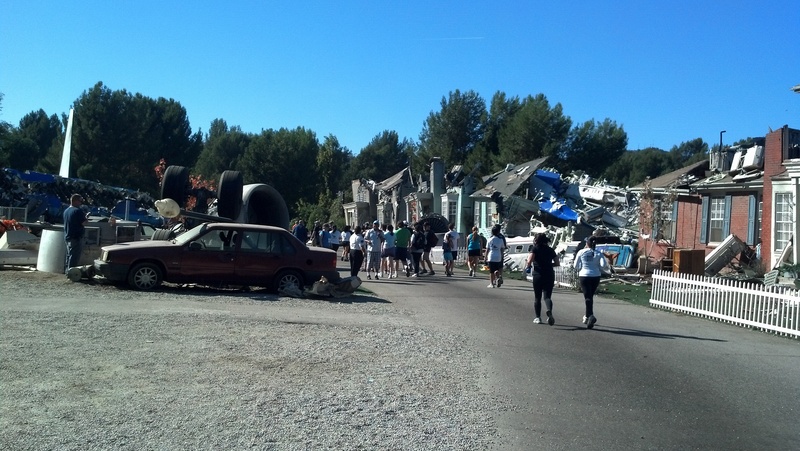 The course for this 10K was 2 loops of a 5K course through the back lot of Universal Studios. 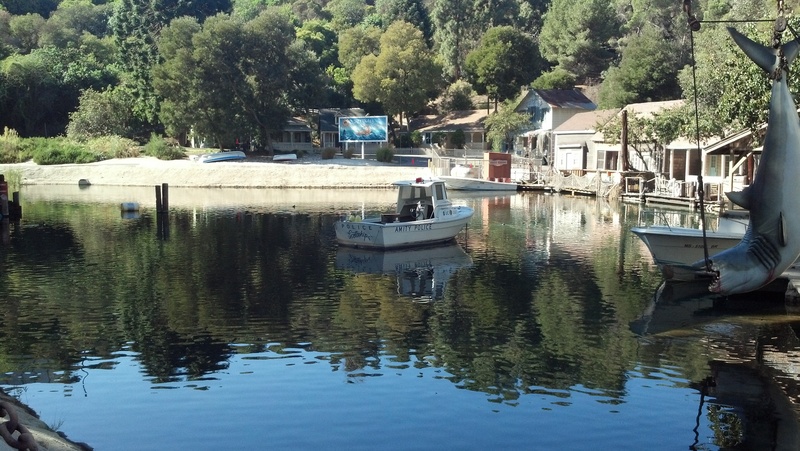 A lot of what we would run by is seen on the tram tour. The race started running downhill behind where you would go at the end of the tour (I think its part with stuff from The Mummy). As a matter of fact, almost the entire first mile was downhill. I had originally thought of pacing myself at a 1 minute run/ 1 minute walk pace. 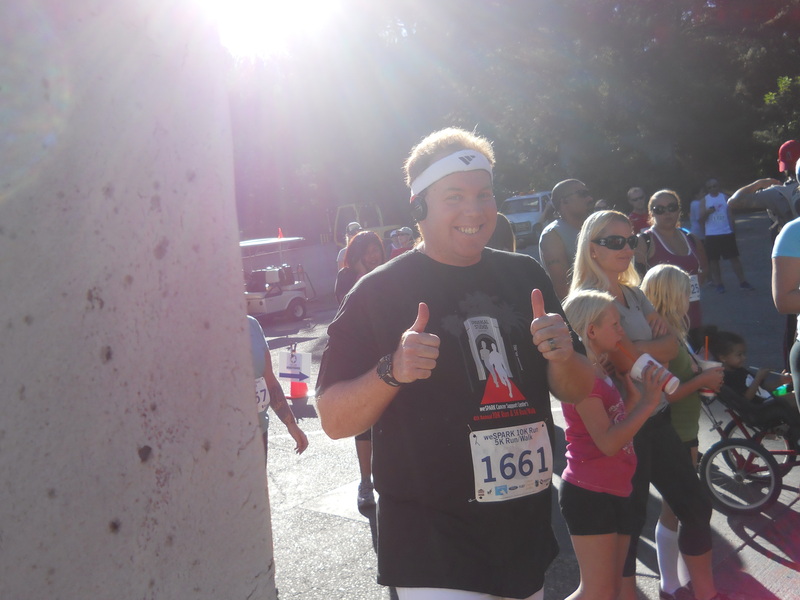 However, that first mile was so easy that I couldn’t help but run the entire thing. The first mile leveled out around the part of the tour where you see the Jaws set. In the first mile, we ran behind that set and we would later run on the other side of it later. We crossed the first mile marker at a Mexico set. 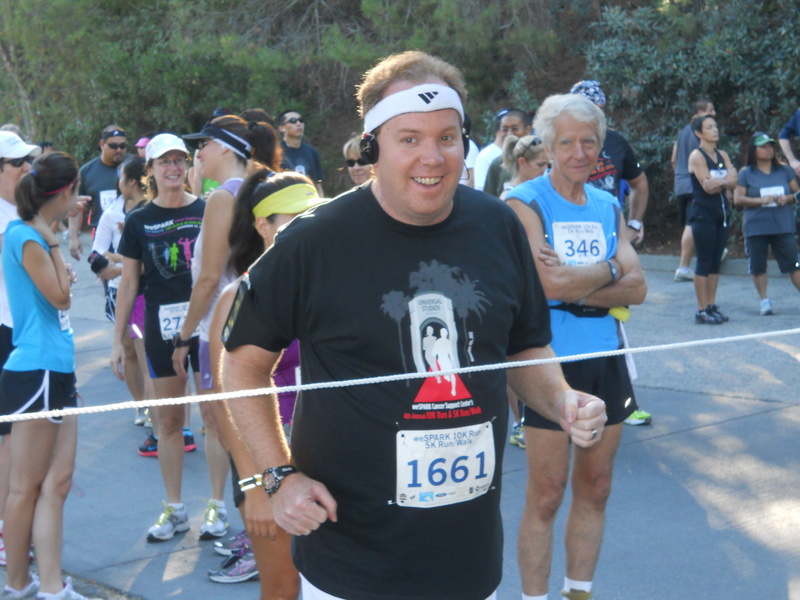 I finished the first mile in 9 minutes, 53 seconds. 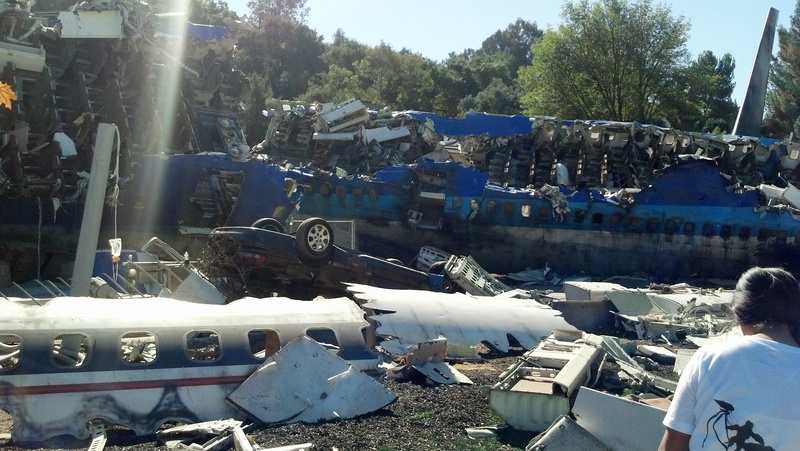 We also came through this famous set. Even though this town was used in multiple films, it will always be memorable to me for being in Back to the Future….save the clock tower! 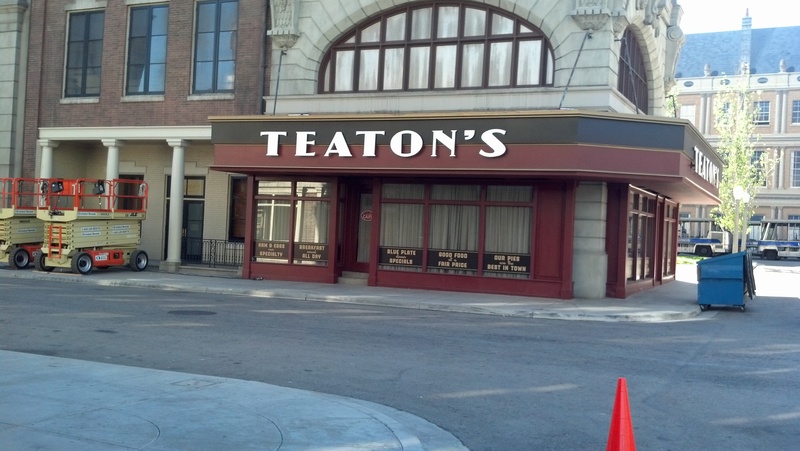 This building may be labeled “Teaton’s” now, but it was a gym that had aerobics going on in the first Back to the Future. 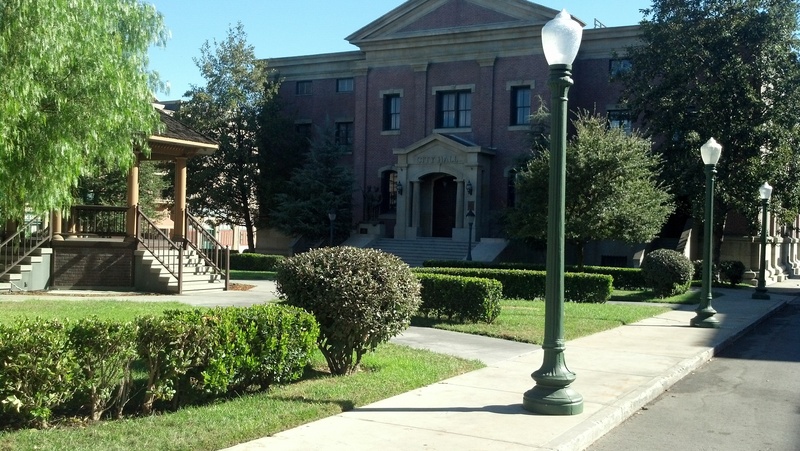 I may have not taken a picture, but when we left the Back to the Future sets, we made our way past the production buildings and sound stages. 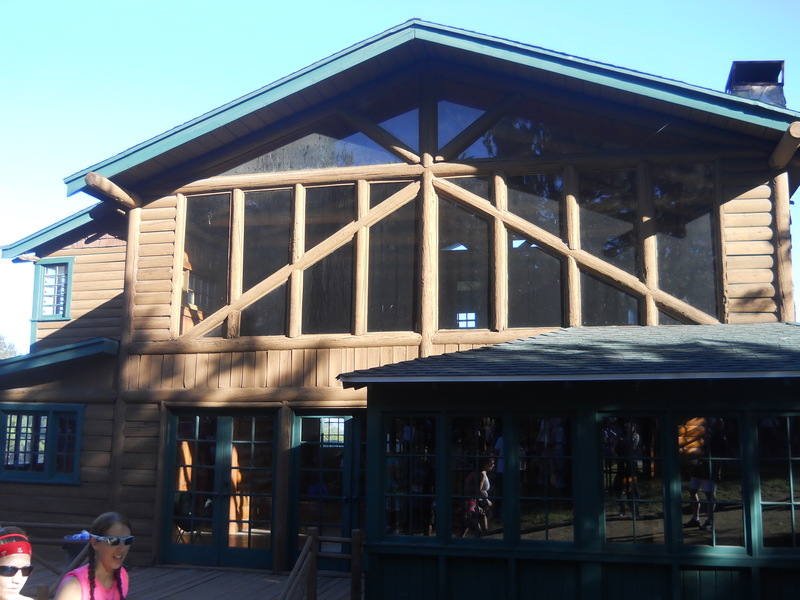 Included was Amblin Entertainment. I so wanted to take a pic of the sign for them. However, a security person told me I couldn’t. Oh well. I finished the second mile in 11 minutes, 57 seconds. I was more comfortable with this pace. However, I did slow a bit in the last quarter of a mile. From there, the crazy hard uphill trek began. 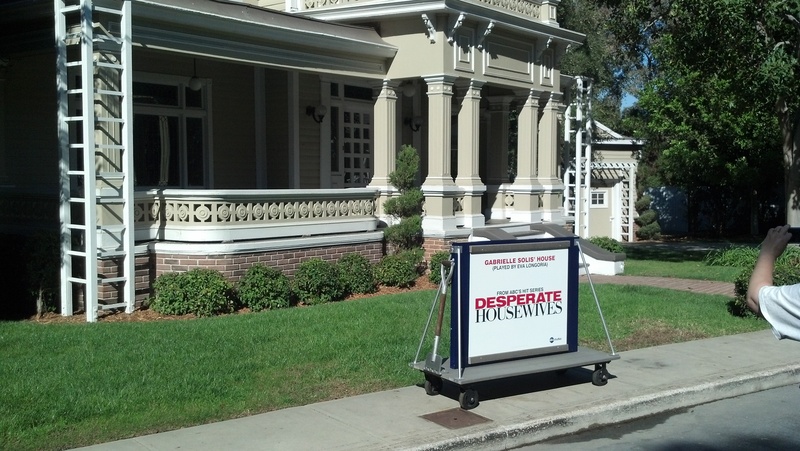 Our only break was to run through Wisteria Lane from Desperate Housewives. We went up one side and wrapped around to head out. At the turnaround was the Phantom of the Opera. Though I didn’t do a great job at getting pics of the various characters they had on the course, there were plenty. 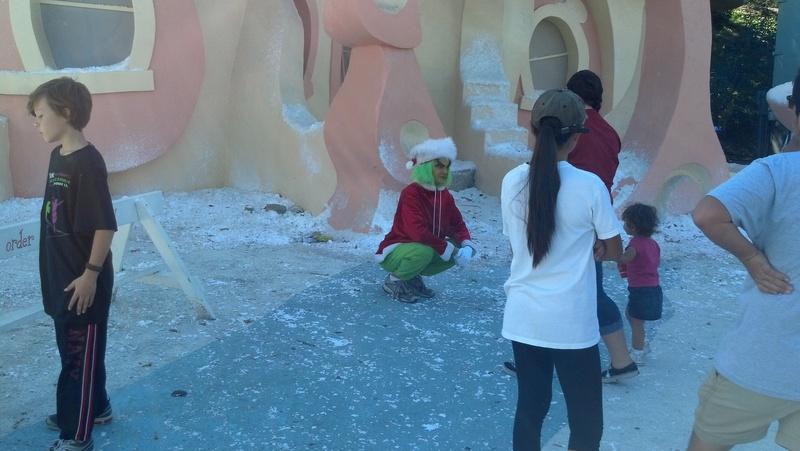 We had a Mariachi Band in the Mexico set, some Cops and Robbers in the New York Street, Gladiator in the international set, the Grinch as we ran by Whoville, and Norman Bates as we went by the Bates Motel. Oh, also, we had Thing 1, Thing 2, and Jack Sparrow as we came to the end of the loop. 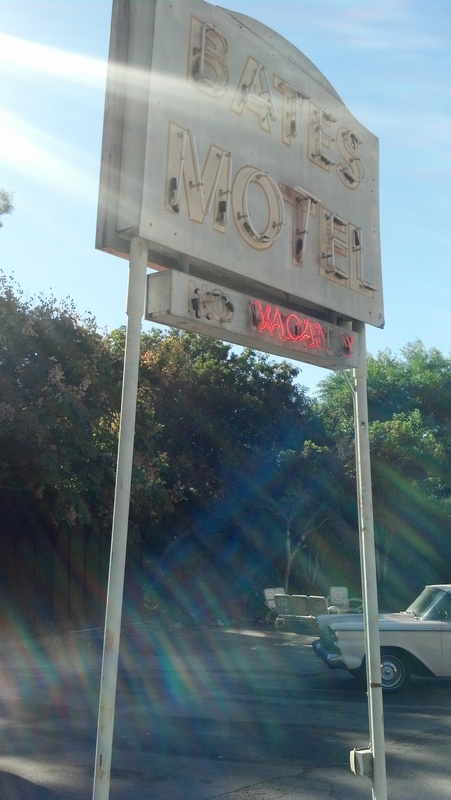 Once we got through the “War of the Worlds” set, I saw the 3rd mile marker. I completed the third mile in 15 minutes, 39 seconds. See what I mean? Hard mile. However, shortly after passing the mile marker, I came to where I could see the end of the race and heard my wife cheering me on. Of course, that perked me up. As I came to the end of the first lap, Captain Jack Sparrow high fived me and I was off to the second lap. There is nothing much more to report in the second time through except that I was slower at each mile than on the first lap. My lack of training was clear as day to me. Unlike mile 1 where I ran almost the entire thing, I found time to walk parts of mile 4. I finished the fourth mile with a time of 12 minutes, 3 seconds. 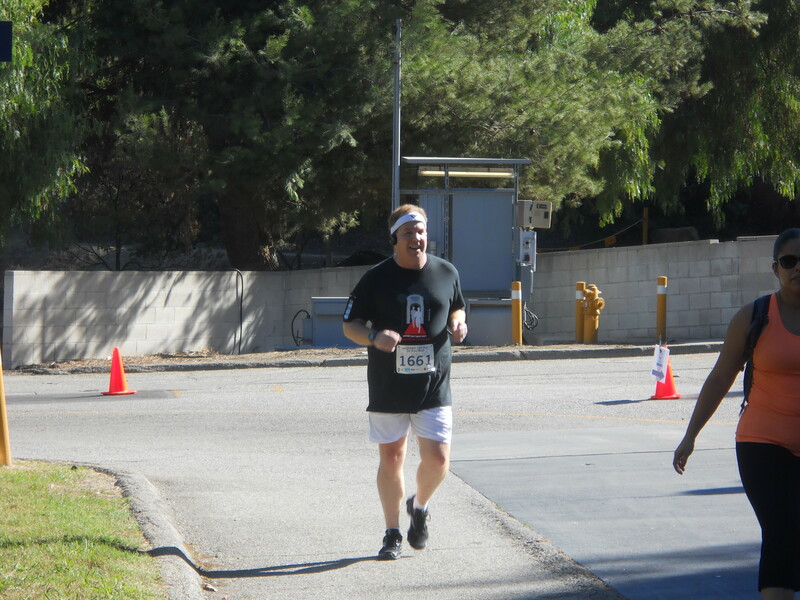 Mile 5 was hot and I constantly was looking for places of shade to help me through. Boy, heat can really zap your energy. I ran as much as I could. However, my mile time continued the trend of slowing down. I finished that mile with a time of 13 minutes, 25 seconds. This was disappointing because I was really hoping to finish in around 12 minutes. Especially considering how hard that last mile was going to be. I started mile 6 running as much as I could through the flat parts. That became my strategy. I would run as much as I could on the flat parts and pray my way through the uphill stretches. I was hoping to finish this mile in 15 minutes, but ended up at 18 minutes, 1 second. To say I felt wasted at this point would have been a huge understatement. Plus, I knew my wife was waiting for me at the finish. So, I gathered up as much energy as I could once I saw her again and tried to run to the finish. Running seemed like a bad idea as my leg cramped up half way to the finish. I was able to walk it off. However, there was no strong finish for me. 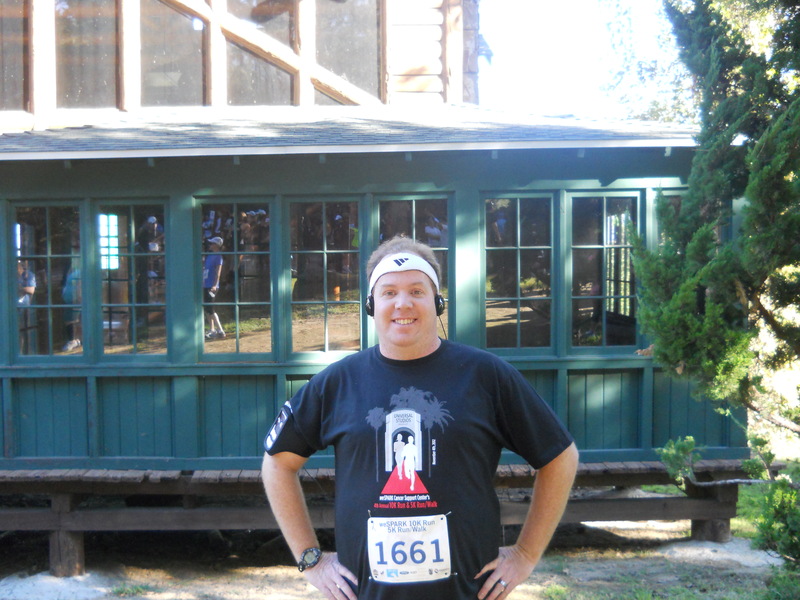 I finished the race with a time of 1 hour, 15 minutes, 26 seconds for an average pace of 13 minutes, 45 seconds per mile. 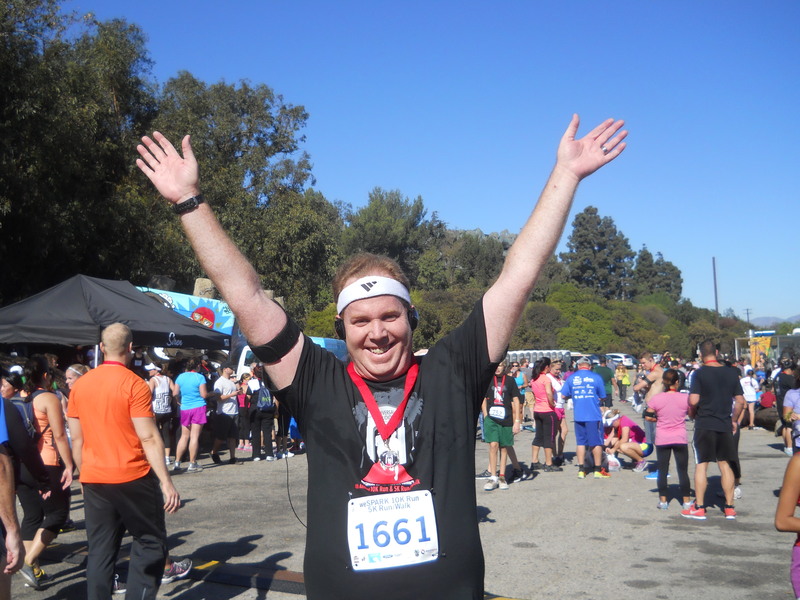 Even though it was a bit of a disappointment, I did finish another 10K and without any training. Also, when you factor in that killer hill in the last mile of the loop, my finish time wasn’t all too bad. After all, nothing could have really prepared me for that. Considering everything, sometimes it’s just great to finish! As with my last 10K, I’m not happy with this race because there was no water at the end. They may have had water for the earlier finishers. However, by the time I got to the finish area, there was no water to be found. I was lucky my wife was with me and had some water for me. It was a really hot day. How could they skimp on the water? After wandering around for a few minutes looking for water, we made the long trek back to the car so I could get my change of clothes and get ready for a fun day at Universal Studios Hollywood. In spite of the lack of water at the end and the confusion about how to get to the start line, this was a pretty cool event. I love running through theme parks! 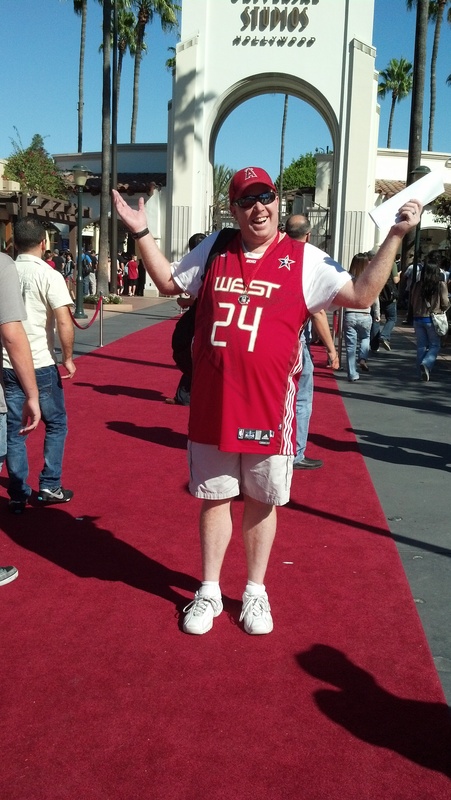 The difference between running at Universal Studios and Disneyland was the lack of people to cheer you on. Outside of the start/finish line, the workers at the park on the course were few and far between. 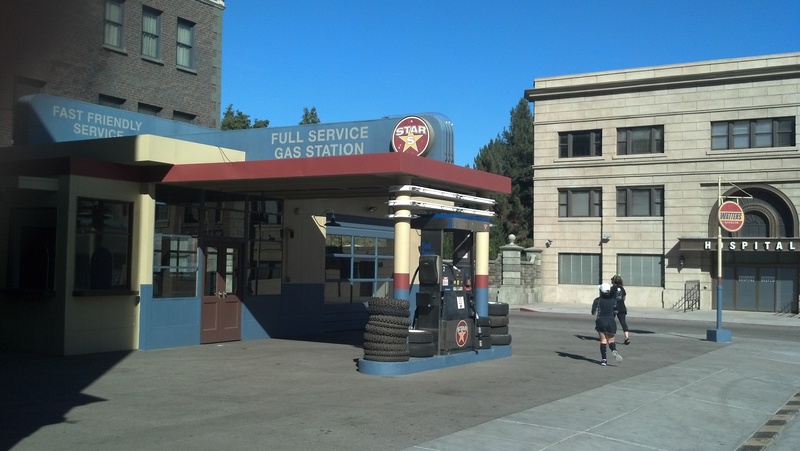 I do give Universal props for having characters that were in the theme of the parts of the back lot areas we were in. They did a great job of pushing us on “in character.” The competitor in me wants to do this run again, if they have it, just to prove I can conquer that hill. Weekly Recap – Colds, Recovery and 5K’s Oh My! I have learn a few excellent stuff here. Definitely value bookmarking for revisiting. I wonder how much effort you put to create the sort of wonderful informative site. Hello There. I discovered your weblog using msn. That is a really well written article. I will make sure to bookmark it and come back to read more of your useful info. Thank you for the post. I will definitely comeback. too few menn and women are speaking intelligently about. Now i’m very happy I found this in my hunt ffor something concerning this.